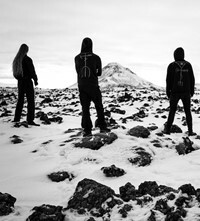 Despite sitting in the middle of the Atlantic Ocean, 700 miles from Scotland, 900 from Norway, and being subjected to a relentless onslaught of cold, wet weather, Iceland is home to a thriving black metal scene – a scene that forms the subject of a new book titled Svartmálmur (‘black metal’ in Icelandic) by photographer Verði ljós, published by Ditto. 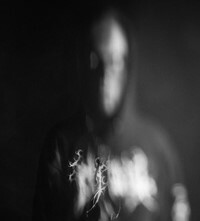 Based in Iceland, Ljós is the alterego of Hafsteinn Viðar Ársælsson and is well positioned to provide such a documentation, himself immersed in the scene and the founder of a band called Wormlust. He spent three years working on this survey, not only photographing the artists spearheading the genre, but the breathtaking landscape that continues to inspire it – and nearly losing his fingers to frostbite in the process. Shot entirely in black and white, Svartmálmur offers an unparalleled and unprecedented insight into this exciting scene. Ahead of its release tomorrow, Ljós discusses the making of this book and what makes Icelandic black metal so special. 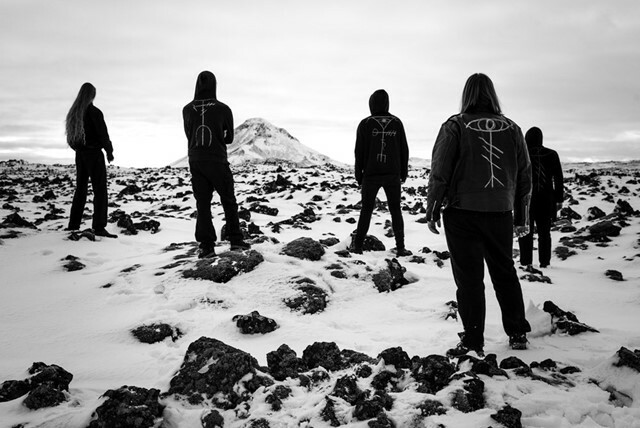 “My book is titled Svartmálmur which is a literal translation of “black metal” in Icelandic. The book documents this scene – everything from portraits to landscapes to encapsulate the experience. “I treated each band differently and tried to understand how they portrayed themselves through their music, and try to match that visually. My favourite photos are the more accidental moments or the ones from my round-trip around the island. I almost froze my fingers off. 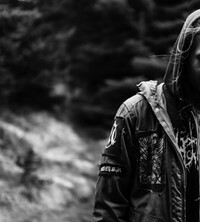 “I joined the only active black metal band on the island in 2001, when I was in my early teens, and released my first solo effort two years later. Over the years I watched a scene form out of seemingly nothing. “At this point it’s still growing strong in both number of releases and shows abroad, as well as new acts joining in on the zeitgeist. 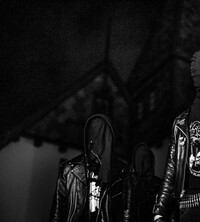 Most importantly, the bands are influencing each other, which I see as a unique occurence when compared to other music over here. That is what makes is a cultural anomaly.